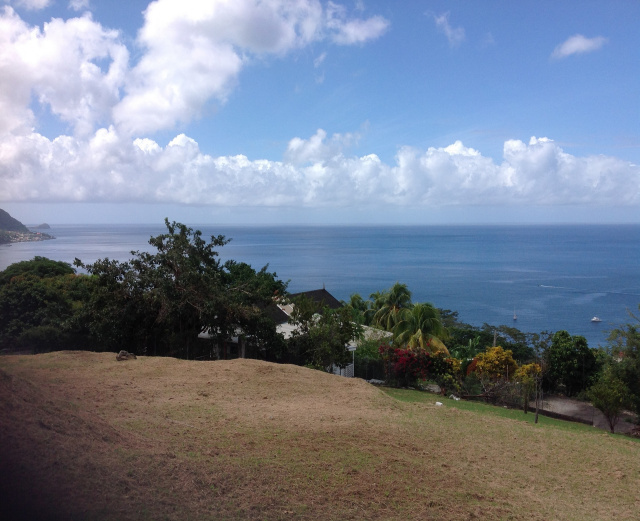 Dominica long term rentals, upscale homes for rent in Dominica. 3 bedroom 2.5 bath elegantly furnished fully air-conditioned main house for rent in Upper Goodwill, Dominica. This spacious house is equipped with all brand new furniture and appliances inclusive of washer, dryer, 42" LCD tv, microwave, etc. This spacious house offers lots of room wiith additional space on both front and back verandahs. House is equipped with Acs and ceiling fans throughout. 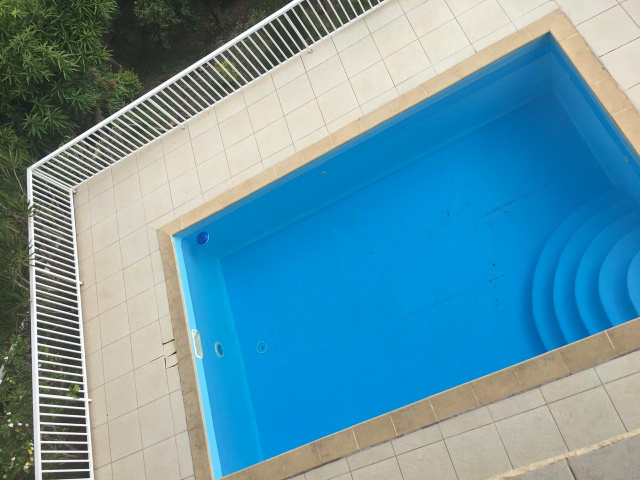 3 bedroom 2.5 bath fully furnished house with detached self-contained apartment and swimming pool for rent on the outskirts of Roseau. This recently remodeled house with an amazing 180° degree oceanview boasts electronic gate, back-up generator (in the rare event that you are without power), lots of fruits to feast on and large deck plus spacious grounds for entertaining. The house is equipped with stainless steel appliances, 3 LED tvs, washer/dryer, etc. ONCE YOU STEP FOOT ON THIS PROPERTY, YOU WON'T WANT TO LEAVE!!! Fully equipped 3 bedroom 2 bath house with private pool for rent within 10 minute drive of the capital city (Roseau), Dominica. You also have the option of renting the 1 bedroom self contained apartment on the lower level together with the main house. However, this one bedroom apartment is not rented out separately, so you never have to worry about sharing the grounds with other guests. This fully fenced property boasts SPECTACULAR ocean view, private pool, LCD cable tv in every bedroom, air-condition in every bedroom, ceiling fan in all rooms, dishwasher, washer/dryer, barbecue grill, microwave, etc. 3 bedroom 3 bath fully fenced house for rent in Belfast. This fully furnished house boasts electronic gate, 110V/220V and large deck for entertaining. One bedroom and bath is on the main floor while both other bedrooms with ensuite bath, walk-in closet and private covered patio are upstairs. This house is equipped with AC in all 3 bedrooms, cable tvs, etc. 2 bedroom 2 bath upscale main house with pool on the outskirts of Roseau. House offers off-street parking, air-condition in both bedrooms, oversized patio for entertaining and oceanview. 3 bedroom 2 bath fully furnished oceanview main house for rent in Morne Daniel. This house sits on spacious well manicured lawn with loads of mature fruit trees and boasts air-condition in all bedrooms, electronic sliding gate, covered car port, fully equipped laundry, 110/220V, solar water heating, standby generator (in the rare event you are without electricity),etc. You'll enjoy a cool breeze year round. There are 2 other rental apartments on this compound. Recently refurbished fully-furnished house for rent in Upper Goodwill. This house is equipped with hot/cold water, double car garage, electronic driveway gate, air-condition in all bedrooms and a large patio for your entertainment pleasure. 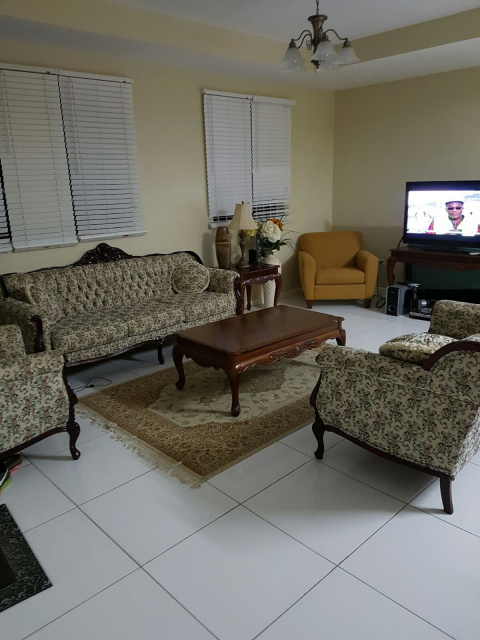 The house is within a 3 minute walk of the Princess Margaret hospital and within a 5 minute walk of the capital city, Roseau.